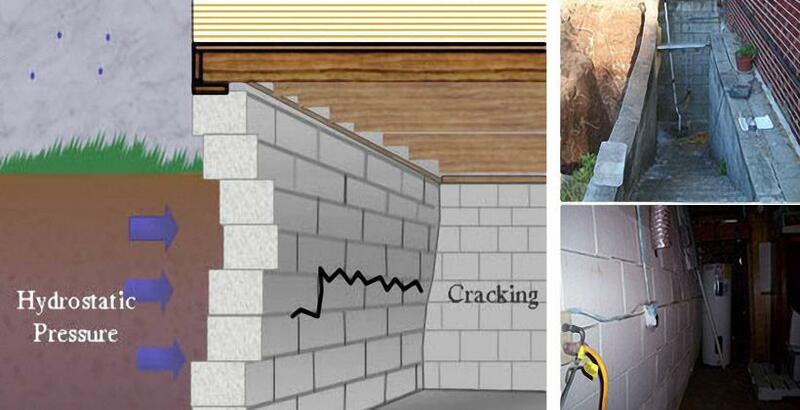 Concrete walls become stressed when soil expansion exerts tremendous force against basement or crawl space walls. When cracks appear in these walls the structural integrity is compromised. This problem must be addressed quickly to avoid the expense of wall replacement or the possibility of structural failure. You can now have your basement or crawlspace walls (concrete or block) reinforced with a simple, practical and attractive material. Basement wall reinforcement is a 4″ wide carbon fibre plate; bonded with a structural epoxy to the wall. These carbon fibre straps are an engineer designed system to stabilize basement or crawl space walls with no further maintenance requirements. Ask us about our wall stabilization repair options and contact us for your free estimate!